A highly controversial natural food substance, carrageenan, a seaweed derivative used in conventional, “natural,” and some organic foods, was just reapproved by USDA Secretary Sonny Perdue. This move overrides the recommendation of the National Organic Standards Board, an expert industry panel set up by Congress. 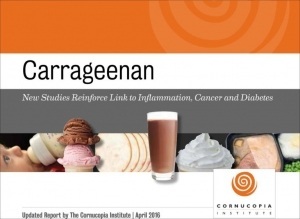 A report  issued in 2016 by The Cornucopia Institute summarized research on carrageenan, exposing the industry’s hidden data demonstrating that all food-grade carrageenan contains a carcinogenic contaminant—low molecular weight poligeenan. Carrageenan, harvested from specific species of red seaweed, is a highly effective thickener/stabilizer found in processed foods including infant formula, plant-based beverages, deli meats, and some dairy products, such as ice cream. The controversy over carrageenan has existed between food industry representatives and public health researchers for decades, but it has flared up again over the past few years with its use in organic food. 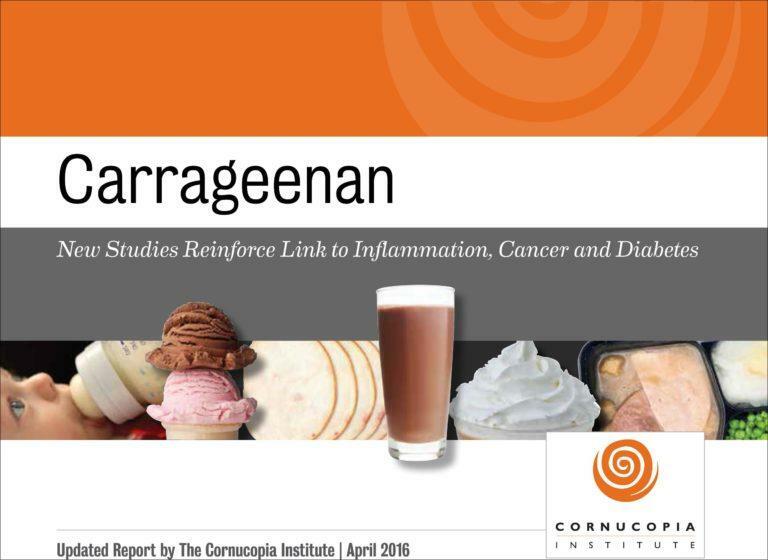 Cornucopia’s report, Carrageenan: New Studies Reinforce Link to Inflammation, Cancer, and Diabetes , was formally submitted to the NOSB before a supermajority of the board voted to remove carrageenan from use in organic food in 2016. Ironically, the organic industry is way out ahead of the USDA policymakers, having removed the substance from products due to consumer feedback. The Cornucopia Institute’s report and web-based buyers guide  show which organic brands have been reformulated without carrageenan or have never included it. Read the full article at The Cornucopia Institute .